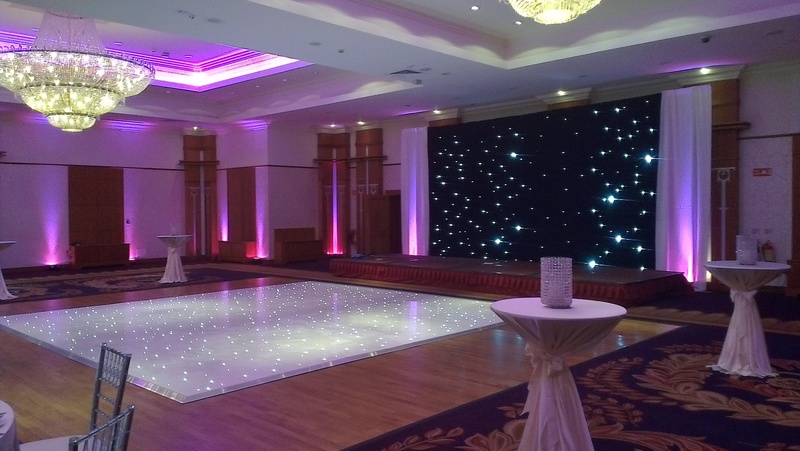 We supply the latest fibre optic fairylight backdrops, which will enhance your top table, and make it the focus of the room. 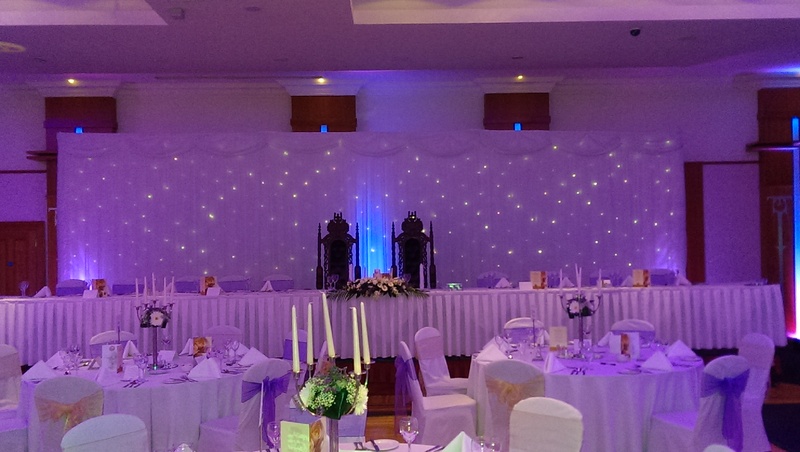 We can also supply matching surround fairylight skirts for the top table and the cake stand. A black version of the fairylight backdrop is also available, which is particularly suitable for behind the band stage.